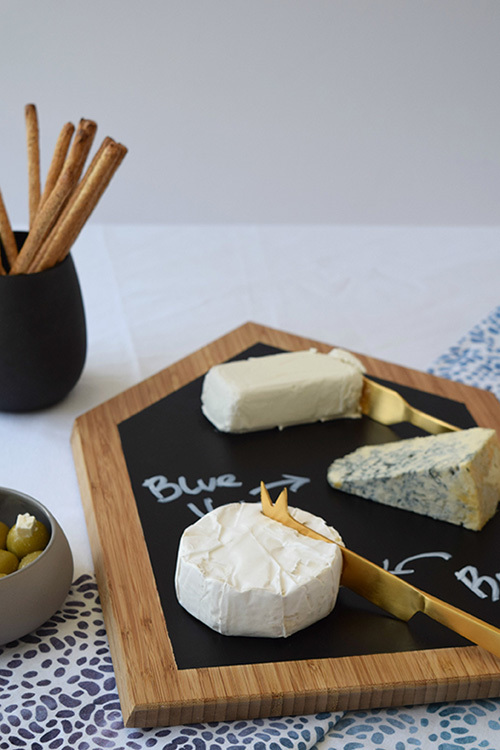 We love creating cheeseboards — particularly when entertaining — and there’s no shortage of ideas to put on the perfect spread! 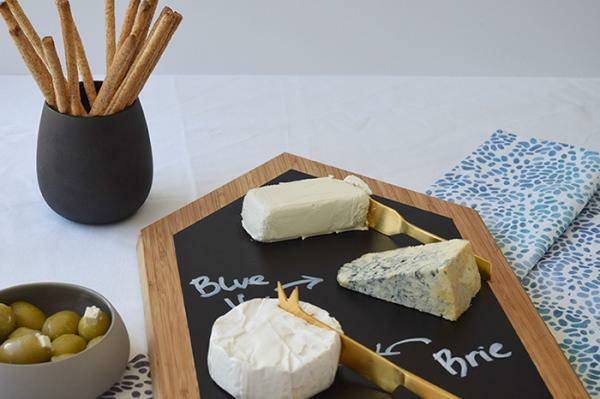 Check out our tips here to create a beautiful cheeseboard. 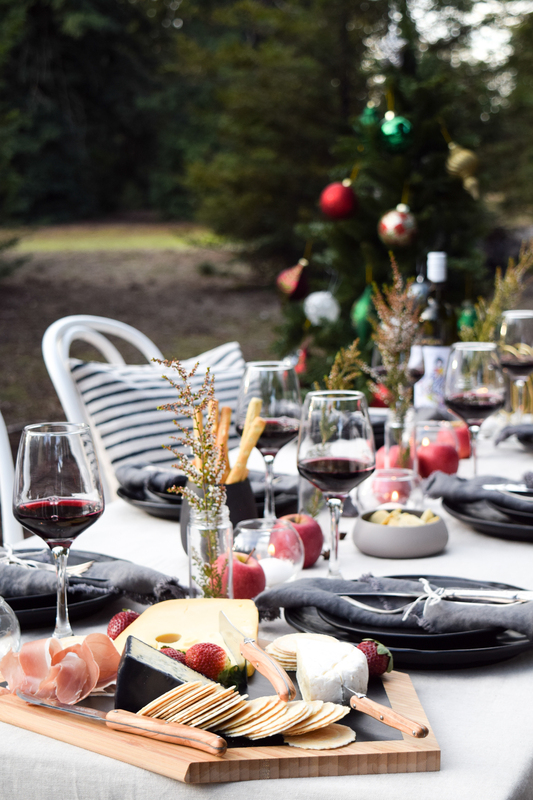 For our most recent Haymes DIY paint project, we were inspired by summer entertaining and our love of cheese, and created this simple DIY Nordic house cheeseboard. 1. 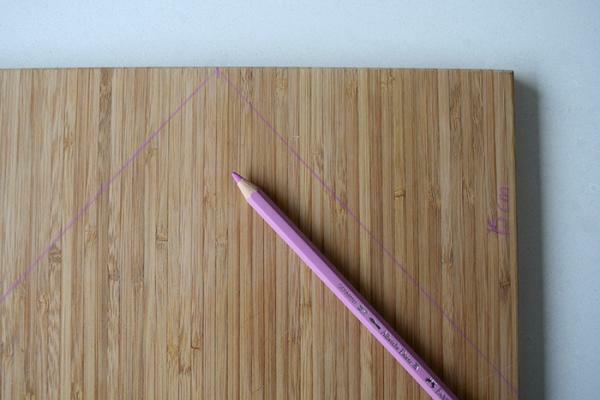 Measure 15cm from the top of the board on the left and right side and draw a line from the centre top of the board to those points, creating the roofline of your house cheese board. 2. Use a saw to cut along your roofline. 3. 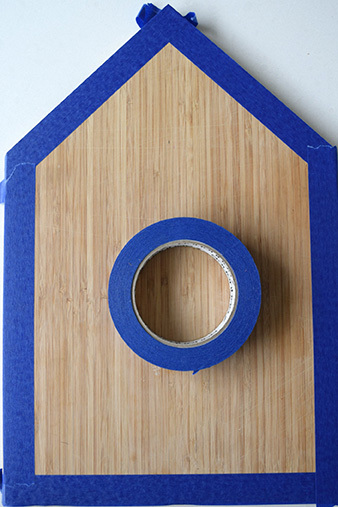 Create a border of masking tape around the house-shaped board to leave an exposed timber border. 4. Paint the face with blackboard paint and allow to dry well. 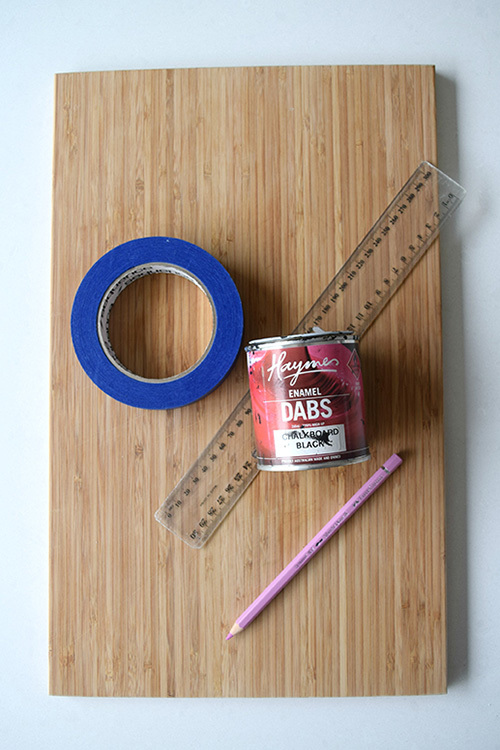 Depending on your finish, you may need to paint a second coat. 5. Once dry, wash well and then place your favourite cheeses on top. You can use a chalk texta to write the names of the cheeses like we did. 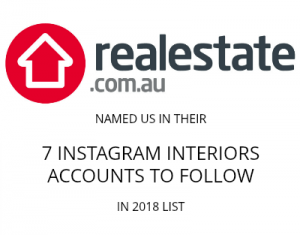 Previous articleHouse call: Warning Shelley’s home will likely cause bathroom envy!